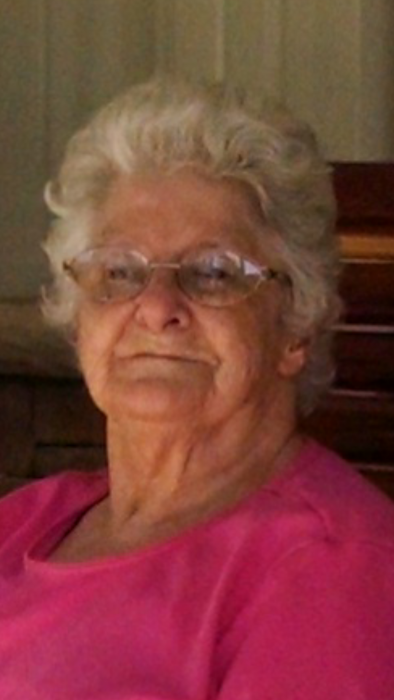 Graveside services for Melba Juanita Wise of Lufkin, will be held Tuesday, March 19, 2019 at 10:00 a.m. at Eden Cemetery, with Paul Mettlen officiating. Mrs. Wise was born October 30, 1935 in Apple Springs, Texas the daughter of Steve Oliver and Essie Laster, and died Saturday, March 16, 2019 in Lufkin. Mrs. Wise loved her children, grandchildren and great grandchildren. She also loved her dogs, and she loved to cook. She loved and took special care of the love of her life, Archie. Mrs. Wise is survived by her daughter, Brenda Rowlett of Nacogdoches; son, Steve Wise and his wife, Dian of Lufkin; grandchildren, Stevie Wise and wife Logan of Lufkin; Jerry Wise and wife Meagan of Lufkin; great grandchildren, Braxton Rector, Bentley Wise, Cheyenne Rector, Ava Grace Wise, Coen Wise, Conley Wise and Cranessa Fennen; sisters Bertha Mae McKnight of Huffman and JoAnn Smithhart of Lufkin; sisters-in-law, Sis Monk of Rusk and Johnnie Emerson of Wells; numerous nieces and nephews and extended family. She was preceded in death by her husband, Archie Lee Wise and her parents. Pallbearers will be Brandall Beathard, Randal Grimes, Stevie Wise, Jerry Wise, Billy McKnight, and Joey McKnight. Honorary pallbearers will be Dillan Emerson, Danny Emerson and Weston Cosby. Visitation will be held Monday, March 18, 2019 from 6:00 p.m. to 8:00 p.m. at the Shafer Funeral Home Chapel. Shafer Funeral Home, Lufkin directors.